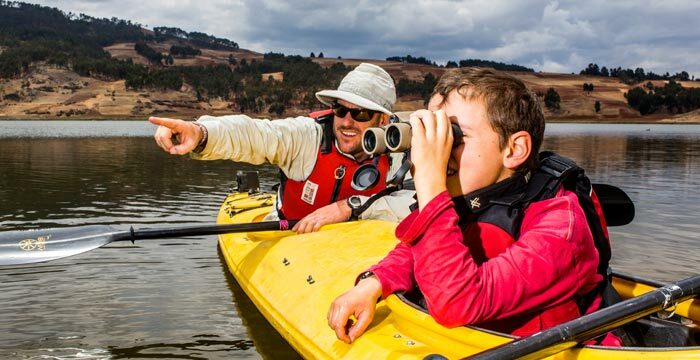 For up close wildlife encounters and an unrivaled perspective of the vast Peruvian landscapes, there’s no better seat than the one in the kayak. 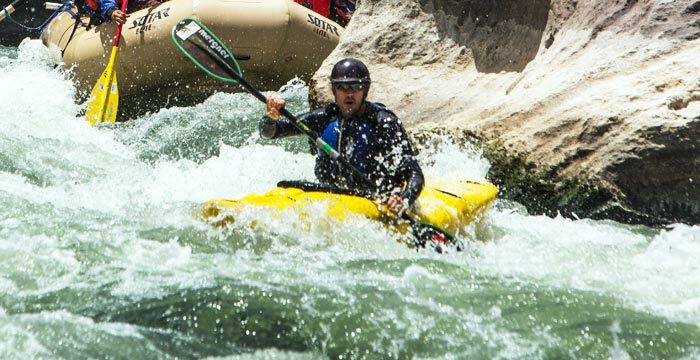 Kayaking in Peru through it’s rivers, lakes, and bays on one of our exclusive kayak tours for a truly unique Peru travel experience. 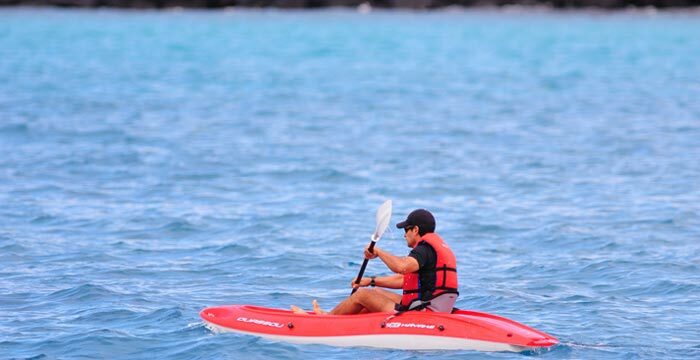 One of the best ways to get up close to the wildlife-rich waters of Paracas is to paddle through the waters on a kayak. Go in the morning when the wildlife here is at its most active then return to dry land for some post-paddle pampering in Southern Peru. From the seat of a small kayak, Lake Titicaca looks truly vast. Soak up the mystical energy of the world’s highest navigable lake, which the Incas believed to be the birthplace of their civilization. Float along the sparkling shores of the Chucuito peninsula and LLachón and visit the Uros people, who live on self-made islands created entirely of reed and mud. Glide along this rushing river, which cuts right through the heartland of the ancient Inca Empire. Weave in and out of the Vilcabamba Mountains, marveling at the dramatic scenery of the region. After an hour and a half’s trek through tropical forest, Lake Sandoval quietly reveals itself – its still waters reflecting a mirror image of the surrounding palm trees, brightly plumaged birds and the boats themselves. Your kayak will give you front-row access to the Amazonian wildlife show, with the quiet vessel allowing you to get closer than any noisy engine-driven boat ever could. 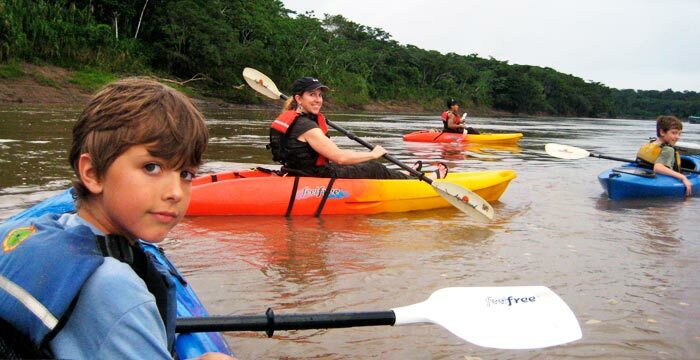 A kayak trip here is an essential Amazon experience.